Just because you keep up with your eye exams doesn’t mean you know everything about the overall health and function of your visual system. If you have a binocular vision dysfunction, a standard eye exam might not be enough to catch it. The binocular vision dysfunction occurs whenever the eyes are misaligned, which can lead to a variety of symptoms. This can include dizziness, headache, light sensitivity, motion sickness, and anxiety in large spaces with tall ceilings. Patients may be misdiagnosed with having migraine disorder, sinus headache, or vertigo. Large spaces with tall ceilings such as big box stores, supermarkets, malls, or airports. 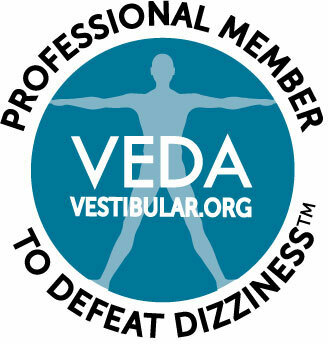 Additional indications that you might be suffering from BVD are experiencing nausea due to dizziness, walking slower to correct an unbalanced gait, slowly drifting to the side as you’re walking, unsure footing and constantly walking into objects, usually on the same side of your body. If BVD is the cause of these symptoms, relief is commonly found quickly with specialized prismatic visual orthotics. Having misaligned eyes can also impede your learning and reading. Since BVD may affect up to 50% of children diagnosed with ADD/ADHD, reading and other learning problems, it is critical to test for even small amounts of misalignment. Specifically, binocular vision disorders can make you feel tired while reading, cause words to blend together as you’re reading, make it hard for you to concentrate and make you skip lines or lose your place as you’re reading. Often patients report that words move or swim on the page. These very small misalignments are missed on routine eye examinations. The Neurovisual evaluation was designed to detect very small and subtle misalignments. Sleeping better in the complete absence of light. Light seen through the eyelids can lead to experiencing visual vertigo. Not being able to get a restful sleep because eye movements lead to disorientation and dizziness, even as you’re attempting to drift off. A good night’s sleep is essential to properly functioning during the day as well as for your overall health. Let us help keep you from tossing and turning and potentially wasting your money on sleep aids that don’t address the true cause of your sleep problem. In addition to dizziness and nausea, you might also be experiencing double, overlapping or shadowed vision. It can also manifest as extreme light sensitivity caused by seeing an amplified glare coming from surfaces. If you’ve always been clumsy or uncoordinated or have poor hand-eye coordination, difficulty with sports which require catching or hitting a ball, you may be suffering from BVD. Besides blurred vision, shadowed vision or layered vision, you might also find yourself covering or closing one eye to make visual tasks easier. Many patients with BVD experience headaches at the base of your skull, throbbing at your temples or pounding in your forehead. You might also feel intense pressure at the crown of your head. Patients with BVD caused by Post Concussion Syndrome typically experience these constant, intense headaches. Other symptoms of binocular vision dysfunction found in the shoulders, neck and head include pain in the jaw region or sinus area. Severe neck and shoulder pain due to a head tilt is often described as a neck headache or neck migraine. This symptoms are similar to those seen in patients with sinus problems, true migraine, TMJ, and spinal misalignment issues. is characterized by intense shoulder and neck discomfort. Having a hard time of meeting someone else’s eyes. 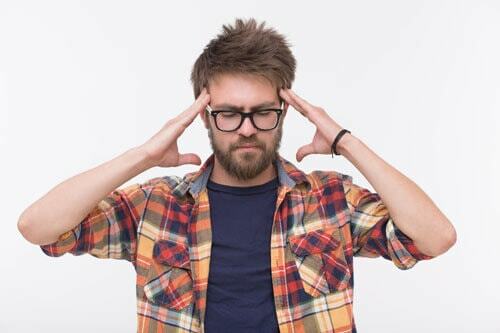 This particular symptom can be exacerbated whenever the person you’re with moves her or his body or hands, which can easily lead to a dizzy spell due to the intense visual stimulation. Finding it hard to focus whenever someone is speaking to you, which can become quite notable when the individual speaks for several minutes. Take our easy to fill out questionnaire to determine if your symptoms are stemming from BVD. Dr. Israeloff specializes in such dysfunctions and has helped patients find effective ways of treating them. Treatment options include special prismatic eyeglasses called visual orthotic devices and even prism contact lenses in some cases. Call the Neuro Visual Center of New York at 516-224-4888 to discuss whatever symptoms you have, to learn more about your disorder and what you can do to improve it. See just what you’ve been missing in your life and in your vision.